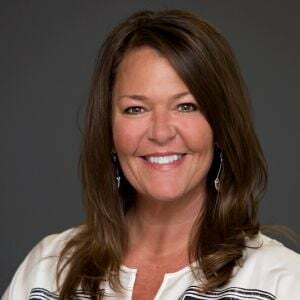 A new future, with new operational realities for fleets, looms just around the corner — although getting any two experts to agree on just what that future will look like is largely impossible. What is clear is that trucking will be a vital cog in the newly emerging economic and retail realities taking shape today, with efficient urban delivery and last-mile delivery emerging as hugely important enablers for retailers large and small worldwide. One of the more headline-grabbing trends affecting the medium-duty truck market is a move toward all-electric vans and trucks optimized for delivery routes in urban settings. Although reports are still sketchy as of press time for this article, it appears Tesla’s much-touted debut electric truck will be a Class 7 model, optimized for urban and light regional routes with a daily charge range of between 200 and 300 miles. And other OEMs, such as Mitsubishi Fuso, Mercedes-Benz and Hino, are actively pursuing their own electric vehicle technology paths as well. Opinions are divided as to how electric technology will be deployed in medium-duty trucks in North America. Koester thinks that instead of fleets of electric vans running routes, it’s more likely to be the return of light hybrid drivetrains and mobile power units for utility and construction applications. Many of the upgrades and enhancements OEMs are touting for their 2018 medium-duty lineups already reflect these key trends in the industry today. On these pages are some highlights as to what you can expect to find on dealer lots very soon. 2018 promises to be a big year for Chevrolet and General Motors commercial trucks. 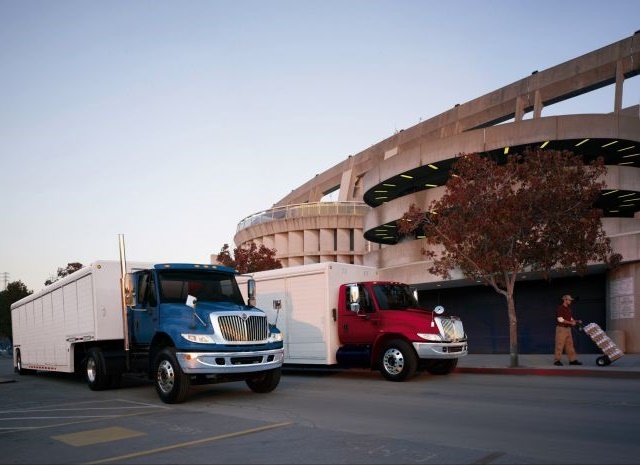 That’s because an all-new lineup of Class 4 and 5 vocational vehicles developed in a partnership with Navistar are slated to hit the market. The deal was initially announced in October 2015. Details on the new trucks remain sketchy, but GM has confirmed that the new trucks will feature Duramax diesel engines and Allison heavy-duty transmissions. These trucks will complement GM’s medium-duty low cab forward trucks, built by the company’s long-standing partner Isuzu. For 2018, a new model will round out the company’s low cab forward offerings, the 6500XD model, which features 25,950-lb. GVWR and a 5.2L turbo-diesel I-4 engine delivering up to 520 lb.-ft. of torque. The engine will be mated to a 2500 series automatic transmission, and the truck will be offered in eight wheelbase configurations ranging from 16 to 30 inches. 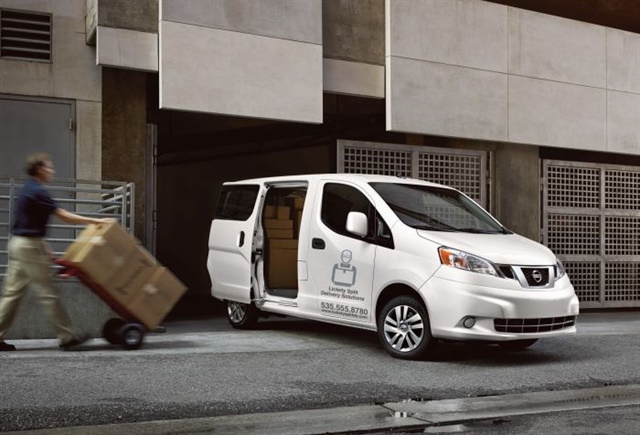 Chevrolet’s Nissan-designed City Express compact van will receive modest upgrades for 2018, mainly focused on improved connectivity. 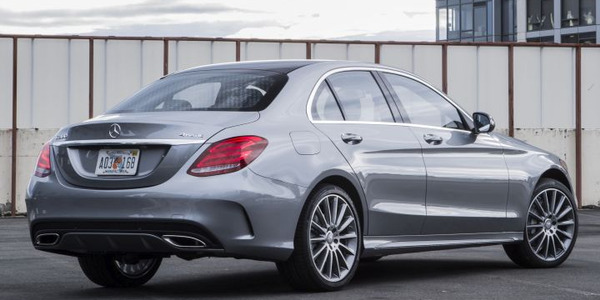 A rear vision camera will be standard on 1LS and 1LT trims levels. 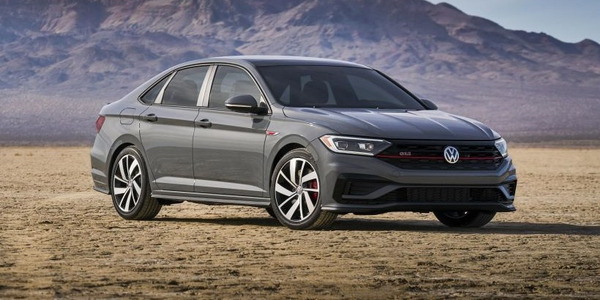 Additionally, a Bluetooth phone interface will be standard on 1LS trim levels. Ford’s Transit vans will feature a new, forged alloy dual rear wheel package along with a new Stone Gray exterior and charcoal leather-trimmed seat package. A heavy-duty cargo flooring option has been added, along with an available heavy-duty rear scuff plate kit and rear-door scuff plate kit for the Transit cargo van. 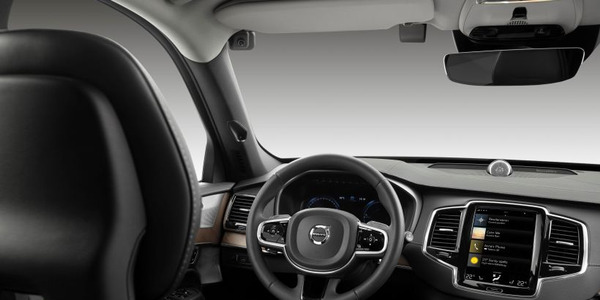 New driver features include a high-mount location for the rearview camera on medium- and high-roof models, and available power-folding short-arm heated mirrors with turn signals. Bluetooth capability has been added to a new optional AM/FM stereo with audio input jack and microphone. A pushdown manual parking brake is available on vans and cutaways. Ford F-650 and F-750 commercial trucks received major upgrades in 2016, with minor enhancements carrying through for the 2018 model year. 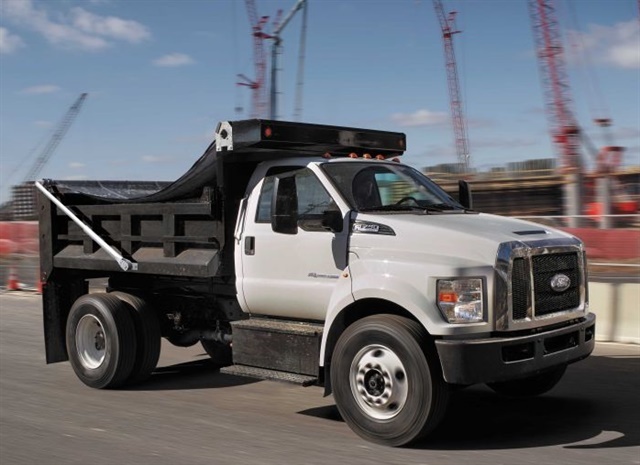 These include now-standard electronic stability control and traction control brakes on F-650 and F-750 tractor models. These systems will initially be optional on certain F-750 diesel air-braked straight trucks with high-center-of-gravity-body upfits. For applications with high electrical demands – such as tow trucks, road service vehicles and other well-lit work trucks – a high-output 240-amp alternator is now available with the 6.8L V-10 gasoline powertrain. Ordering the higher output alternator to power auxiliary lights and equipment can eliminate the need to specify a second alternator or generator. Ford will also offer an optional automatic regeneration inhibitor on 2018 diesel trucks to give the operator more control over when the engine goes into regeneration to clean the diesel particulate filter. 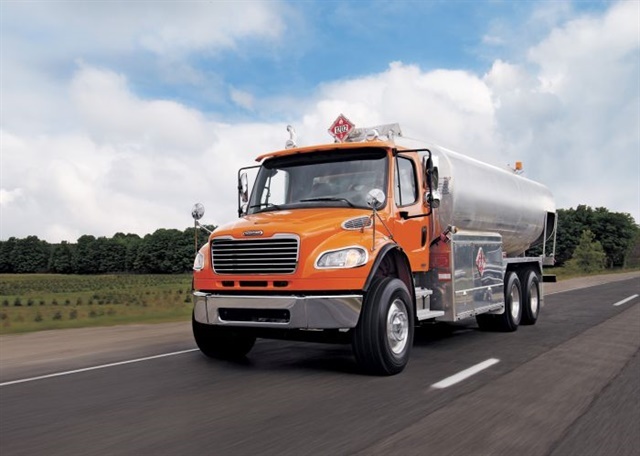 The bulk of Freightliner’s medium-duty news for 2018 comes from underneath the hood, with the introduction of the Detroit DD8 7.7L, in-line, 6-cylinder diesel engine. The engine is a from-the-ground-up medium-duty design, with horsepower ratings ranging from 260 to 350 hp and a torque range of 660 to 1050 lb.–ft. The DD8 will feature both engine- and transmission-mounted PTOs to boost productivity in vocational applications. The new engine will complement Detroit’s previously released DD5 diesel engine. The DD8 will initially be available in the Freightliner M2106, 108SD and 114SD models. Expanded availability into additional DTNA products will come later, with future availability planned for Thomas Built Buses and Freightliner Custom Chassis. Hino has staked out a solid option for fleets operating in areas with stringent emissions laws with its 6th-generation hybrid drive system available in its Class 5 195h low cab-forward model. The truck features a conventional JO5E Series Hino diesel engine mated to an Aisin A645 automatic transmission (which is standard on all Hino medium-duty models). The engine produces 210 hp and 440 lb.-ft. torque and is engineered for maximized performance and fuel economy. 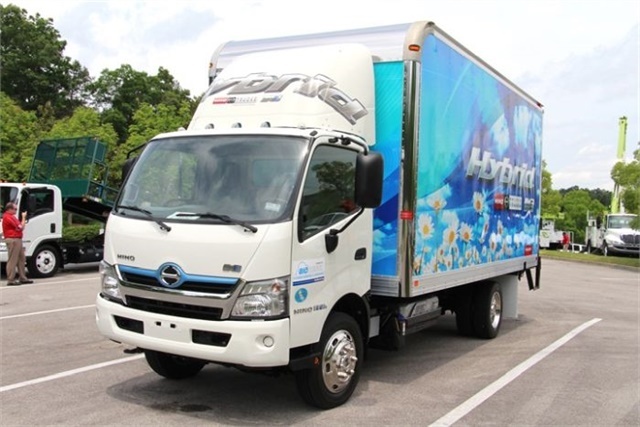 This drivetrain’s performance is boosted by Hino’s proprietary electric drive system and high-capacity nickel-metal hydride battery pack, which provides electric power at low engine speeds to accelerate the truck, before the diesel kicks once the truck reaches driving speeds. The drivetrain is managed by Hino’s Hybrid Adaptive Control Unit, which constantly evaluates driving and road conditions to optimize the truck’s fuel economy and performance. 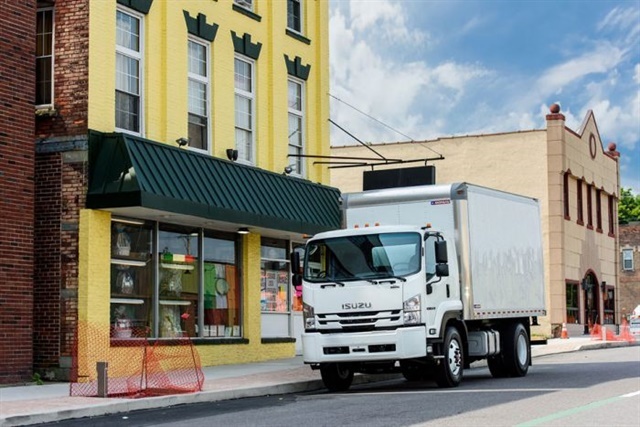 The result, Hino says, is a tough truck optimized for real-world fleet operations that also delivers optimal fuel economy along with reduced exhaust emissions and reduced operating costs. The big buzz for 2018 will be the culmination of a new series of Chevrolet and GMC medium duty trucks built by International. But that doesn’t mean the company has been sitting still with its own lineup of Class 4 through Class 7 vocational models. Most of the International upgrades for 2018 are focused on the fast-evolving role technology is playing in medium-duty fleet operations, including the addition of Eaton’s Procision automated manual transmission as an option and expansion of the company’s remote diagnostic and telematics capabilities. Medium-duty fleets can now take full advantage of International’s Over The Air Programming technology, which enables two-way engine communication and secure wireless engine reprogramming to optimize the performance of trucks, while reducing service trips and downtime, as well as its OnCommand Connection remote diagnostics system, which relays real-time truck performance monitoring, alerts, health reports and action plans to fleets. International made news in late summer when it announced it was ending production of its N9 and N10 medium-duty diesel engines in the second quarter of next year. The engines were commonly used in the company’s Class 6 and Class 7 medium-duty models. According to the company, the engines had been continually updated since their introduction – most recently in 2014 – but the company could no longer justify further investments in them. The company will offer Cummins 6.7- and 9-liter options for trucks in its Class 6 and 7 market segments. Isuzu has opted to flesh out its Class 6 low cab forward offering for next year with the introduction of its all-new FTR model truck. The FTR was designed with fuel efficiency foremost in mind, with power supplied by a four-cylinder Isuzu 4HK1-TC 5.2L turbocharged engine. Isuzu says the four-cylinder diesel is the first in the Class 6 market segment. The engine is mated to an Allison 2550 RDS six-speed automatic transmission capable of generating 520 lbs.-ft. of torque at 1,650 rpm and 215 horsepower at 2,500 rpm. The FTR model has a front axle capacity of 12,000 lbs. Rear axle capacity is 19,000 lbs. and the truck’s GVWR is 25,950 lbs., with a choice of eight wheelbase lengths ranging from 152 to 248 inches. The truck will accommodate bodies ranging from 14 to 30 feet in length. The FTR also features a 50-degree wheel cut for optimal maneuverability in urban delivery applications. Fleets can spec a 100-gallon fuel tank instead of the standard 50-gallon option (dependent on wheelbase) for longer routes. 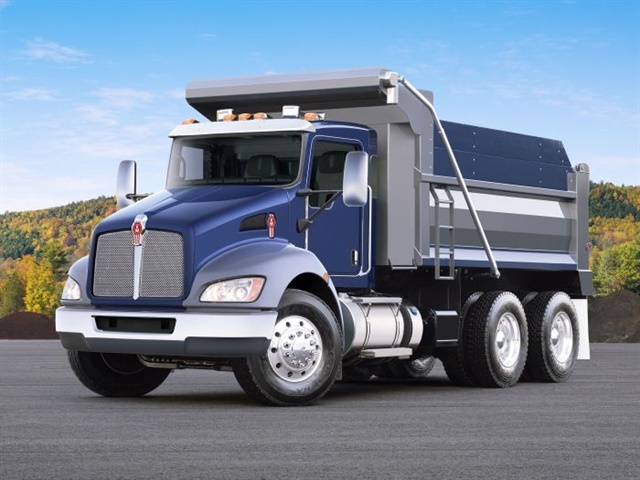 Kenworth continues to offer both conventional and cabover medium-duty choices for fleets, including its T270 and T370 Series models with a sloped hood for improved forward visibility, single rear or tandem drive axle options and GVWR up to 66,000 lbs. 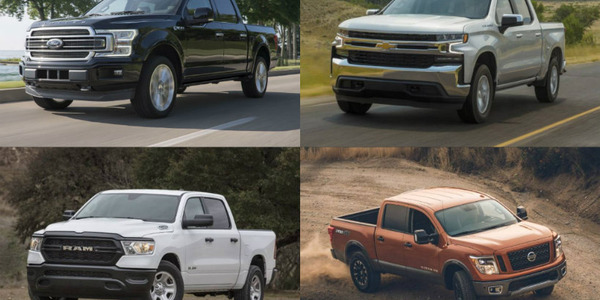 Fleets can also choose 4x4 and 6x6 drive options as well as manual, automated, or automatic transmissions. Kenworth’s cabover options begin with the Class 6 K270 in a 4x2 axle configuration. The truck features 55-degree front-wheel cuts and a standard automatic transmission for city driving. Front air disc brakes are optional, as is rear air suspension. The truck is available with wheelbases in 12-inch increments ranging from 142 to 242 inches and can accommodates bodies from 16 to 28 feet. A clear back of cab frame-exhaust aftertreatment package is also available as an option. Moving up to Class 7, Kenworth offers the K370 cabover truck, which also features 55-inch front wheel cuts and a 4x2 axle configuration. 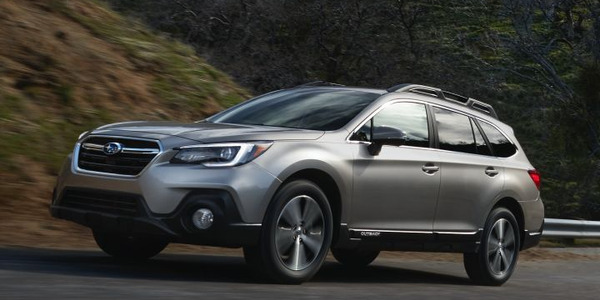 Standard amenities include an air-suspension driver’s seat and a two-person passenger bench seat. 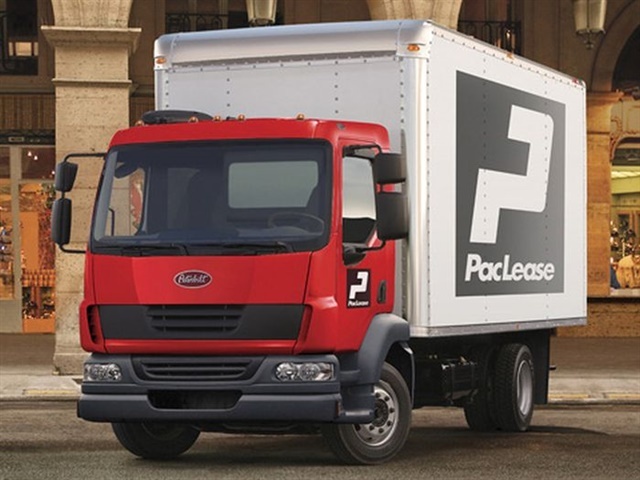 Wheelbase options are available in 12-inch increments ranging from 142 to 242 inches, and the truck can accommodate body lengths from 16 to 28 feet. All Kenworth medium-duty trucks are powered by Paccar PX-7 and PX-9 diesel engines, with horsepower options ranging from 200 to 350 hp and up to 1,150 lb-ft of torque. 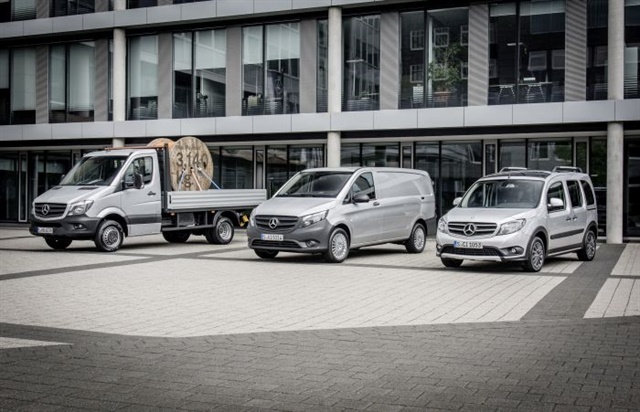 Mercedes-Benz’s Sprinter cargo van is slated for a redesign next year, with the new model rumored to look much like its lighter-duty Metris cargo van stablemate. Until the new model appears, Sprinter will continue to be offered in three vocational van versions, as well as a chassis cab configuration. Engine options will remain unchanged heading into 2018, with a choice of a 2.1L four cylinder diesel, or a 3.0L V6 diesel. 2018 Metris Cargo Vans will feature a standard rear-view camera and choice of 202-inch or 214-inch body lengths. 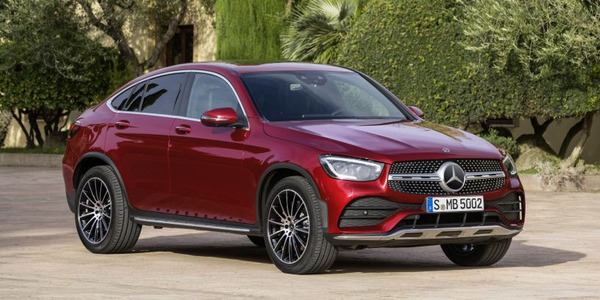 A 2.0 L, 4-cylinder turbocharged gas engine with direct injection is standard, with an Eco Start-Stop system available as an option for fuel conscious fleets. The engine is rated at 208 hp and 258 lb-ft. of torque and is mated to a standard 7-speed automatic transmission. Daimler’s Japanese-based medium-duty truck division has decided to make a bold move into the all-electric truck market, with its announcement last month that it will begin serial production of its eCanter electric truck for the 2018 model year. The Fuso eCanter has a range of approximately 62 miles and a load capacity of two to three tons – depending on body and usage. The vehicle’s electric powertrain contains six high-voltage lithium ion battery packs with 420 V and 13.8 kWh each. Compared to a conventional diesel truck, Daimler said it offers savings of more than $1,000 in operating costs for approximately every 6,200 miles. According to Mitsubishi Fuso, the truck’s daily range can easily be extended to 100 miles with battery pack and payload adjustments. 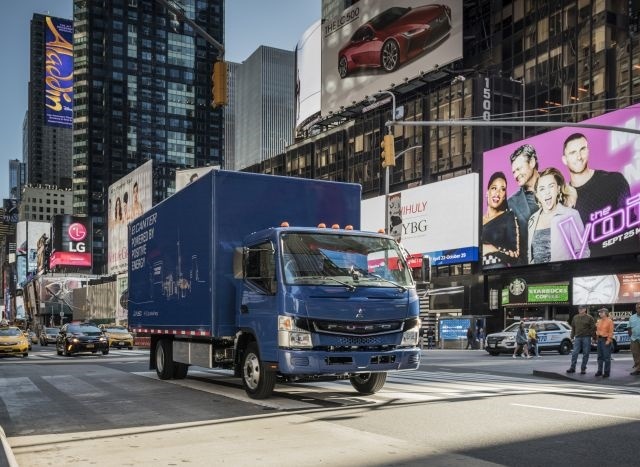 Mitsubishi Fuso will also continue to offer diesel-powered low cab forward models, and will be moving to offer three new 6.0L gasoline engine options available next year for its FE130, FE160, and FE180 trucks under an agreement with Power Solutions International. The gas engine trucks will be branded as 2019 models, but available on Mitsubishi Fuso dealer lots beginning next year. Nissan’s commercial vehicle lineup remains focused on van options for 2018. The company’s NV200 compact van is expected to get a facelift before the end of next year. 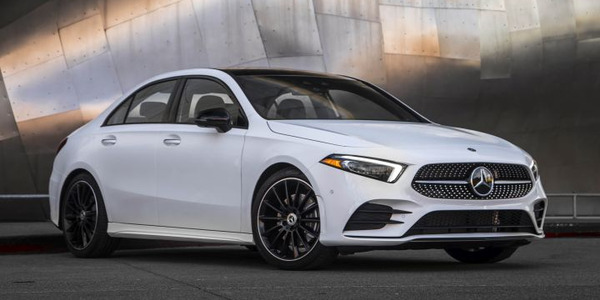 Both diesel and gas engine options will be available in both 1.5L and 2L engine options, with power ranging options ranging from 100 to 150 hp with manual or automatic transmission options. The larger, NV Cargo Van is also slated for a style refresh later next year, and Nissan has teased an all-electric model as well. In the meantime, an upgraded Endurance 5.6L V-8 engine, added last year, is available for both NV 2500 and NV 3500 models, along with a new, 7-speed automatic transmission. The direct-injected Endurance engine is rated at 375 hp and 387 lb-ft. of torque. 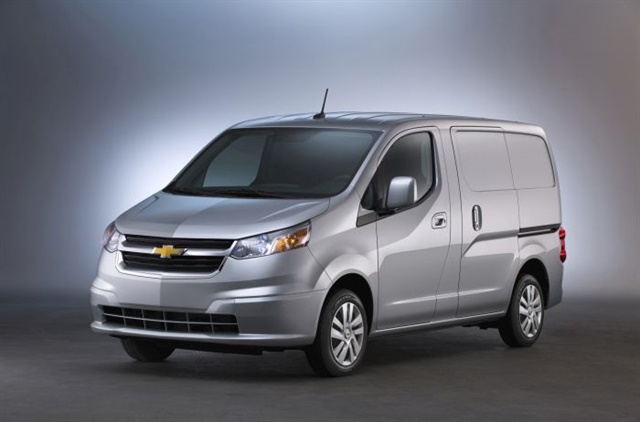 The lighter-duty NV 1500 Cargo van has a 4.0L V-6 engine option rated at 261 hp and 281 lbs.-ft. of torque mated to a 5-speed automatic transmission. All Peterbilt medium truck models feature Paccar PX-7 and PX-9 diesel engines, with horsepower options ranging from 200 to 380 hp and up to 1,150 lb-ft of torque, beginning with the compact Model 220 cabover with a GVWR from 26,000 to 33,000 lbs. Peterbilt designed its only cabover truck with a low chassis weight for high-volume pickup and delivery applications, as well as beverage and refuse applications. The Model 220 is also available in a right-hand drive configuration for street sweepers and paint striper operations. On the high end of Peterbilt’s medium-duty offerings for 2018 is its Model 348 conventional truck, which is a Class 7 (and “Baby 8”) model designed for rugged specialty application markets such as crane, construction, service truck and utility applications. Too meet these demands, the Model 348 features GVWR from 33,000 to 66,000 lbs. and a wide array of optional capacity ratings. Fiat Chrysler Automobiles’ Ram Commercial has added several safety and convenience features to its ProMaster full-size van and ProMaster City compact van for the 2018 model year. The ProMaster will add standard equipment including a Uconnect 5.0 screen with optional navigation, integrated voice command with Bluetooth with steering wheel-mounted audio controls, a rear backup camera, and a backup camera kit for chassis cab and cutaway models. Buyers can also now add a window grate with a fixed glass option for right and left sliding doors. The ProMaster City also adds the Uconnect 5.0 screen as standard equipment and an optional window grate for the sliding and back doors in cargo vans that don’t include a partition. Ram’s 3500 Heavy Duty pickup gets a new fifth-wheel option and boosted maximum trailer weight ratings up to 30,000 pounds for the 2018 model year. These upgrades are complemented by a more powerful 6.7L Cummins turbo-diesel option and a reconfigured design of the truck. 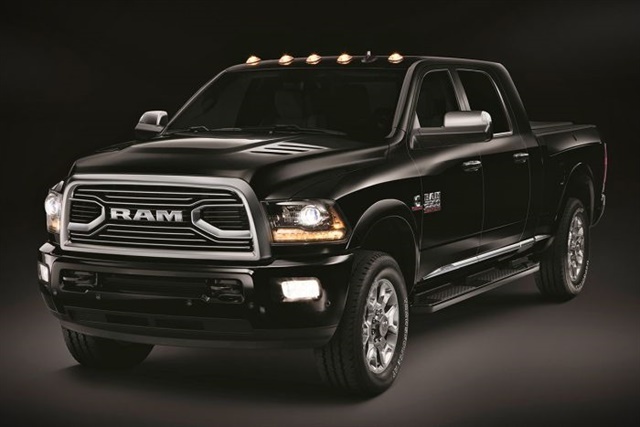 For more basic applications, Ram has also upgraded the truck’s base inline six-cylinder Cummins engine by increasing torque by 30 lb.-ft. to 930 lb.-ft., thanks to a new variable geometry turbo and higher fuel system flow rates to improve combustion efficiency.